Do you want to design a t-shirt for your brand? Creating a mockup of your design allows you to refine your ideas and show off your completed design to potential buyers. 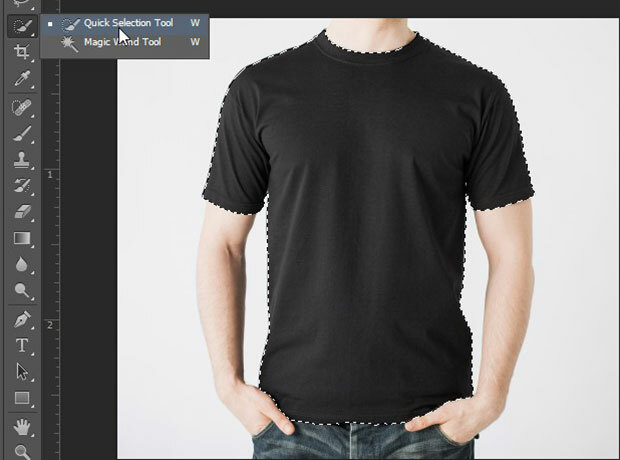 In this article, we will show you how to create a t-shirt mockup in Photoshop. First thing you need to do is open an image of a plain t-shirt in Photoshop. You can start by making a selection on the t-shirt. I choose the Quick Selection tool because is works quickly and easily with clean edges like what we have here (dark t-shirt on a white background). 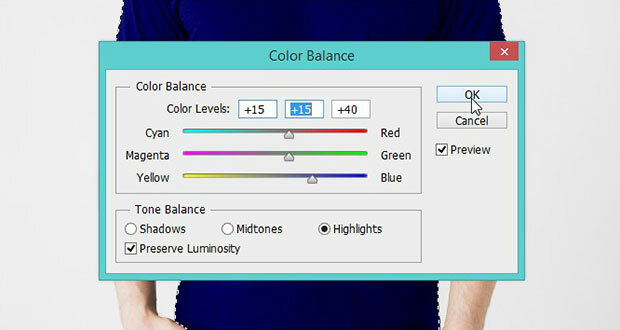 After making the selection, you should go to Image » Adjustments » Color Balance. 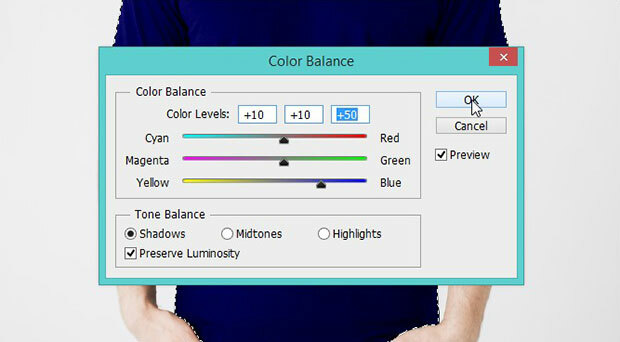 Our selection will make sure that the Color Balance only affects the t-shirt. 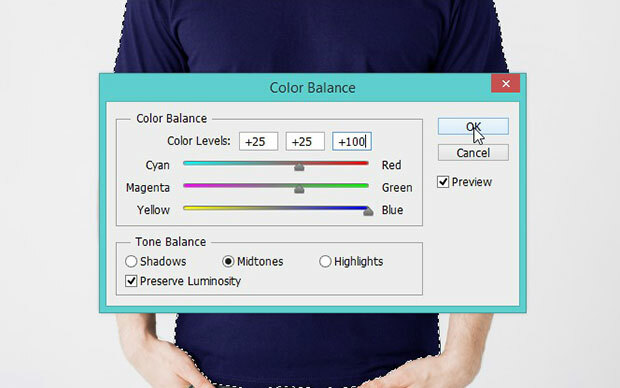 In the Tone Balance, simply select Midtones and move the sliders to get a good color for your t-shirt. Once you are satisfied with the color of your t-shirt, you can add a customized logo or design to it. To add a design to the t-shirt, simply open up the file for your logo in Photoshop and move it to your original t-shirt file (drag and drop). Press Ctrl + T to adjust the size of the logo to fit your t-shirt. You can even rotate it and place it at an angle for a unique look. For our purposes, we kept our logo straight. We hope this article has helped you to learn how to create a t-shirt mockup in Photoshop. You may also want to check out our guide on how to create a book design template in Photoshop or from our Related Posts below.